Federal Judge Temporarily Blocks SB4, Texas Law Targeting Sanctuary Cities : The Two-Way Texas lawmakers said the law would protect citizens from crime. Critics opposed giving police the authority to require people to show papers verifying their immigration status during routine stops. Protesters gather outside the federal courthouse in San Antonio in June to oppose SB 4, a new Texas law targeting "sanctuary cities." Chief U.S. District Judge Orlando Garcia ruled late Wednesday that Texas officials may not implement Senate Bill 4, a controversial measure designed to crack down on so-called "sanctuary cities" in that state. The law, set to go into effect on September 1, would have given local law enforcement the authority to ask about a person's immigration status during routine interactions such as a traffic stop. It also required local officials to comply with requests from federal immigration authorities to detain anyone suspected of being in the country illegally. Local law enforcement officials could be fined and removed from office if they did not cooperate with federal immigration authorities. Critics of the law said it would encourage racial profiling and violate the First and Fourth Amendments. 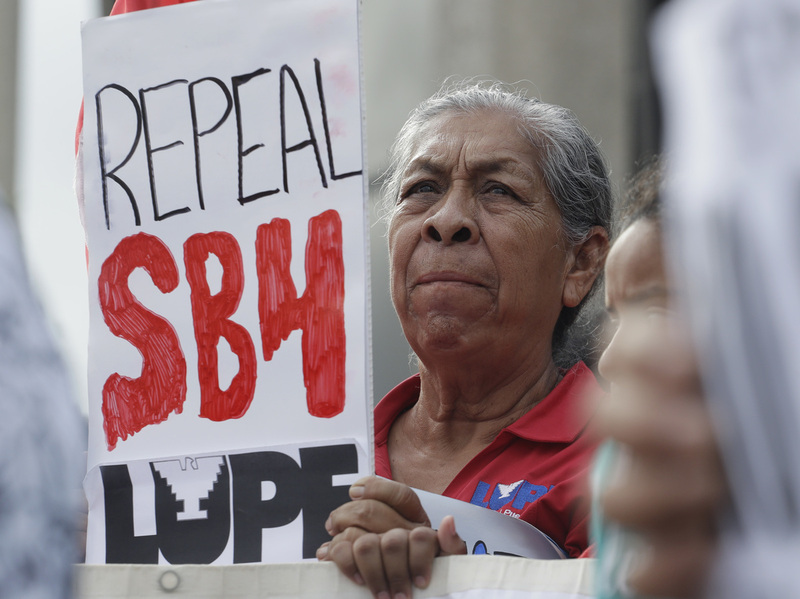 The cities of San Antonio, Houston, Dallas and Austin had joined a lawsuit brought by the city of El Cenizo against SB 4, arguing that the law would undermine any cooperation between local police and immigrant communities in dealing with crime. In his 94-page ruling, the judge said that there is overwhelming evidence from local officials, including local law enforcement, that SB 4 would "erode public trust and many communities less safe." Gov. Greg Abbbott promised to appeal the ruling. Attorney General Ken Paxton echoed that call in a statement. "Senate Bill 4 was passed by the Texas Legislature to set a statewide policy of cooperation with federal immigration authorities enforcing our nation's immigration laws. Texas has the sovereign authority and responsibility to protect the safety and welfare of its citizens. We're confident SB 4 will ultimately be upheld as constitutional and lawful," said Paxton. In a statement, Lee Gelernt, deputy director of the ACLU's Immigrants' Rights Project praised Garcia's ruling. "The court was right to strike down virtually all of this patently unconstitutional law. Senate Bill 4 would have led to rampant discrimination and made communities less safe. That's why police chiefs and mayors themselves were among its harshest critics — they recognized it would harm, not help, their communities," said Gelernt.